Remember when I said I'm not a chronological scrapbooker? I really meant it. I have a flash back to 2008 to share today. 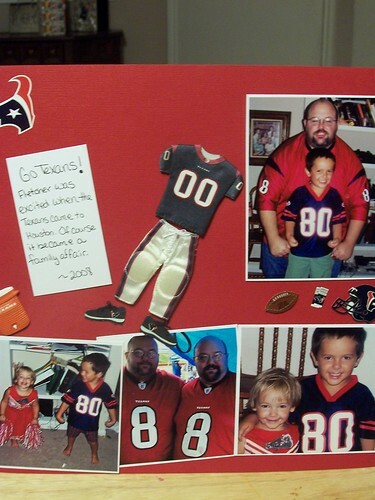 My husband is a huge Texans fan. When the team started it was all he could talk about--Houston had a team again! Of course he can't help but try and win our children over. This is another fairly simple layout. Really I don't know what else to do but use the Texans embellishments. My husband really liked the page so that's all that matters. I have another tree for all reasons card to share with you. Of course since it is a Texas card I felt the need to pull out my ever reliable kraft card stock to give it a rustic, western feel. 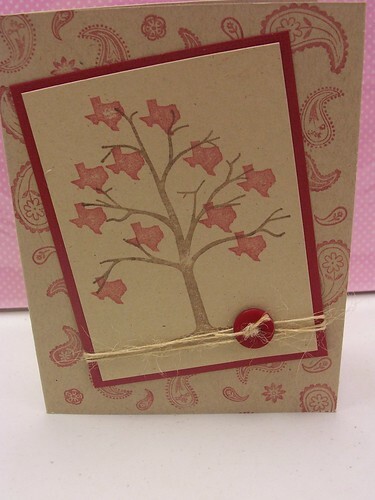 I used the small Texas and Bandanna stamp from Deadbeat Designs to finish off the card. Maybe a Cupcake will Help? I have yet another Tree for All reasons card. 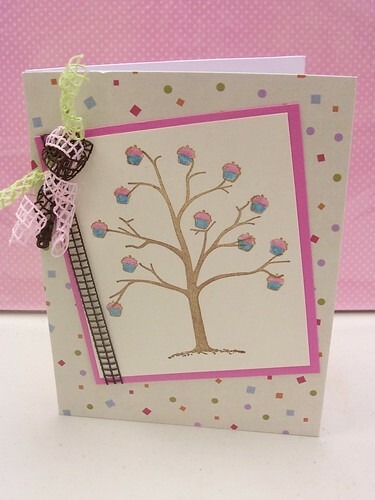 This time I took a whimsical slant to the card and used the tiny cupcake stamp as leaves. 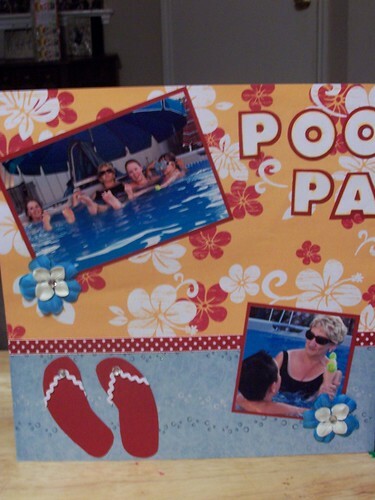 I finished the card with some glitter pens. 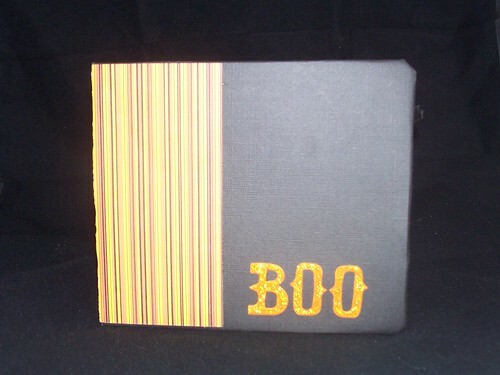 I have a fun Halloween mini album to share today. This album was all about fun and treats and not so much spooky Halloween. 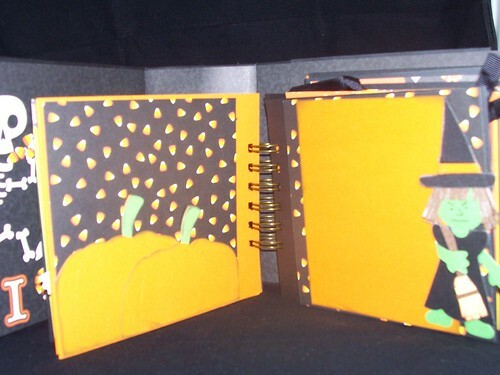 I adore all kinds of Halloween, cutesy, vintage, spooky--anyway it comes. It is a holiday, for me, that is all about having fun and being silly. It helps that my husband is such a Halloween fan--we all get into the fun. 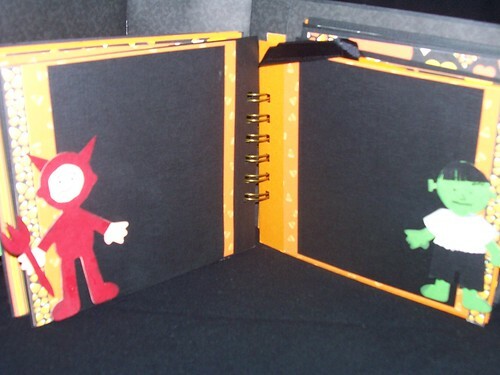 Inside the cover. 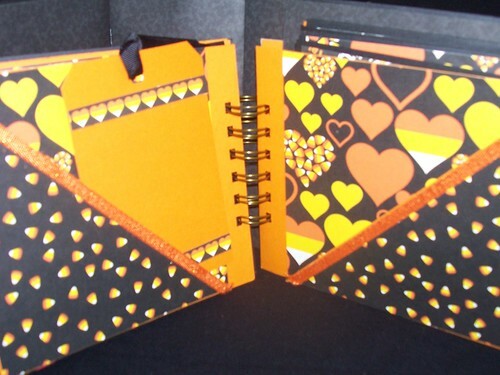 I couldn't resist using such a great patterned paper for the inside. The haunted house is cut from glitter paper with the Tim Holtz Alteration Die Rickety House. 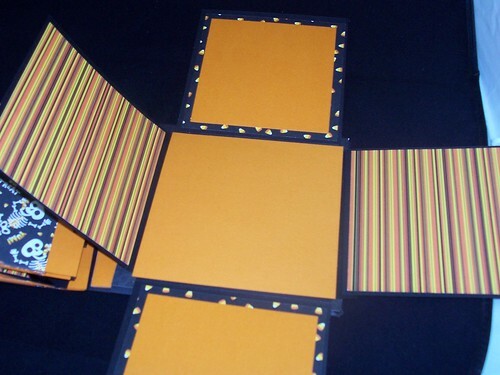 The small strips on the diagonal pockets are from the bottoms of the patterned paper. The other side of the strip had the bar code. I've noticed more companies doing this. It's a great little add-on. All of the costumed little friends were made with the paper doll die and clothes. I altered and added to create each costume. The final page of the album is sort of an explosion page. 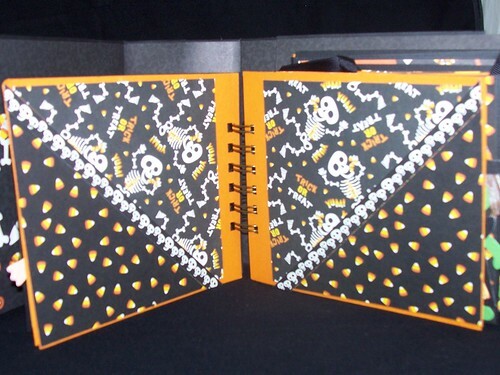 It folds out to add more pictures or journaling. As you can see I didn't do a lot of embellishing. I wanted to leave room for pictures. I'm sure that as I get pictures in the album I'll start adding little pieces here and there. 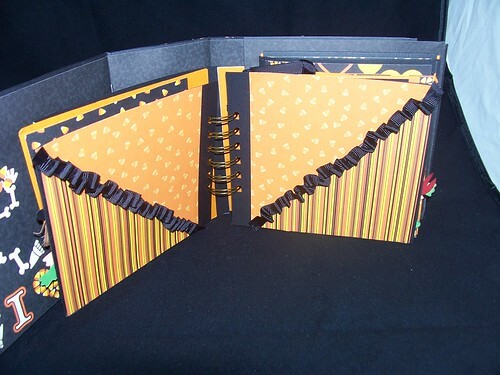 I made the binding nice and thick to allow for thicker pages. I love autumn. Unfortunately I live in Texas. My chances to make fall themed layouts are pretty slim. Basically there's Thanksgiving. Even on Thanksgiving it's often in the 80's. 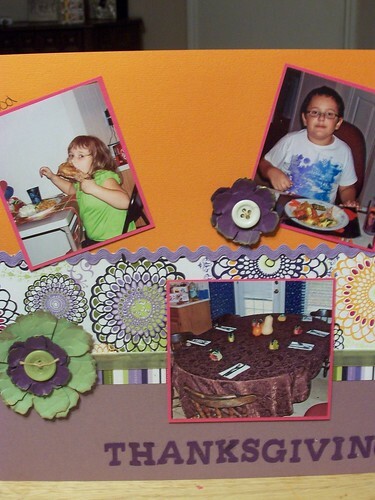 I used some non-traditional papers for this Thanksgiving layout. I've been working on using up some of the papers I've been stashing. Seriously, I don't know why I think I shouldn't use something because it's "too pretty" for a layout. We don't normally have a crowd for Thanksgiving. My birthday is often the day of or the day after and I like just the four of us. 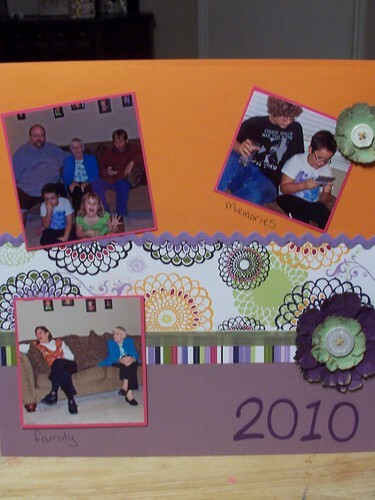 Last year Fletcher's grandma was able to come so we extended the invitation a little wider. I have another tree for all reasons card to share with you today. 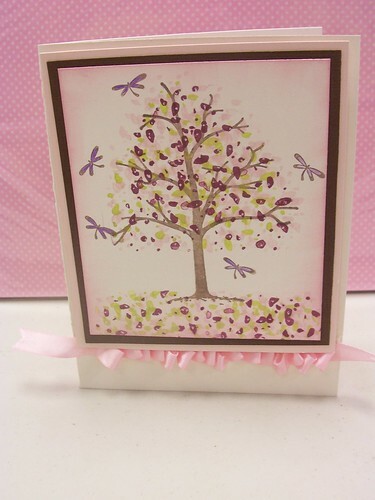 This time I took the card in a more spring style with pinks and greens. I also used the little dragonfly stamp from Deadbeat Designs. I have been getting a lot of mileage out of my sponges and ink applicators by Ranger. I have been known to be a lazy stamper when it comes to inking the edges of my cards. I often just don't do it and when I do I'm lazy and use the stamp pad directly to edge method. The result is a much harder line and usually darker color. I love how soft and smooth a sponge or applicator makes the edge of the card. 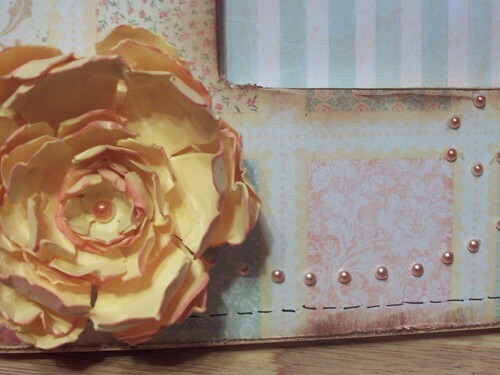 I feel the pink edges really softened and gave a more finished quality to this card. Well, not actually. It's still in the upper 90's here in Central Texas but the calendar says it should start feeling like fall, Starbucks has released their fab fall beverages (pumpkin spice latte Yum!) and with the horrible drought the grass is brown and the leaves are falling off the trees. This is as close as I'll be getting to fall this year. Since my autumns in Texas are anything but the wonderful pumpkin patch scouring-apple picking-leaf pile jumping-scraf wearing days of my dreams, I chose to convey all the wonders of autumn in a card. I am very much in love with the tree for all reasons stamp by Deadbeat Designs. 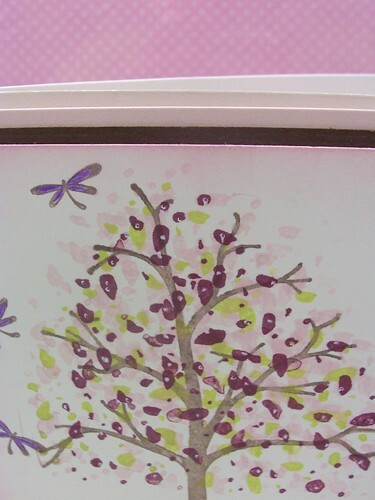 The tree on it's own has so many possibilities but when you pair it with the additions that Mark has created (and a few found additions in my stamp stash) you can truely create a card for all reasons. 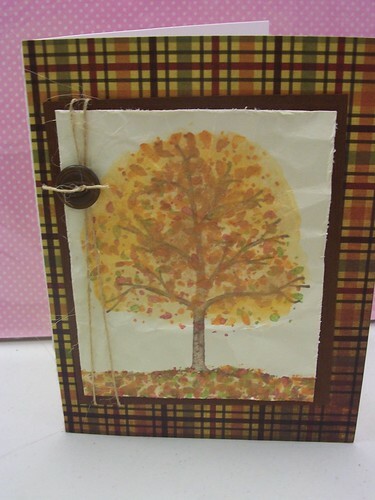 For the card I am sharing today I stamped the bare tree and then used the leaves stamp by Deadbeat Designs in four different colors to create my multi-colored leaves and the fallend leaves on the ground. To round out the warm golden feeling I used some metallic watercolors to fill in around the leaves. I'm back with another scrapbook layout to share. I did something in this layout that I never do. I split the layout over two pages. Normally I treat a 2-page layout like two pages that coordinate. You know, a shirt and pant. I have always been reluctant to split the title or a picture. I dived right in with this layout. With the orientation and number of pictures, it just made sense to split the title the way I did. 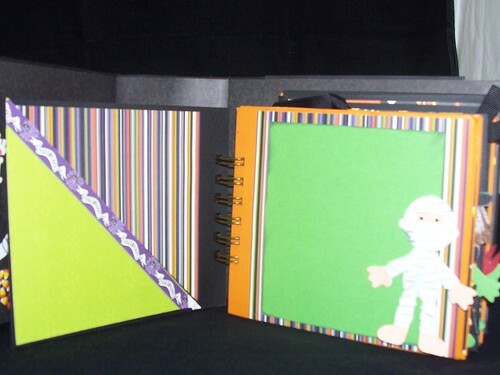 I think if I was a chronological scrapbooker I'd be about a year behind. But I'm not. 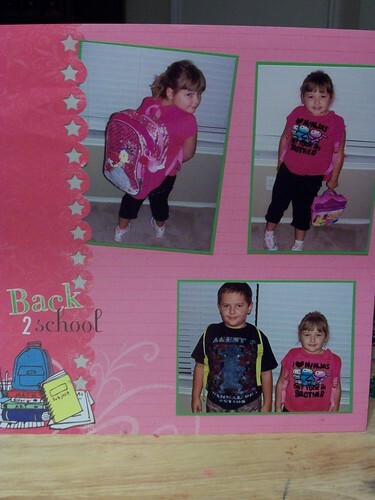 I scrapbook what I want, when I want which means I still have pages from when my babies were actually babies to do. Although it's a lot to keep up with what I've done and not done, it is fun to use new baby products that I wouldn't normally get to use. 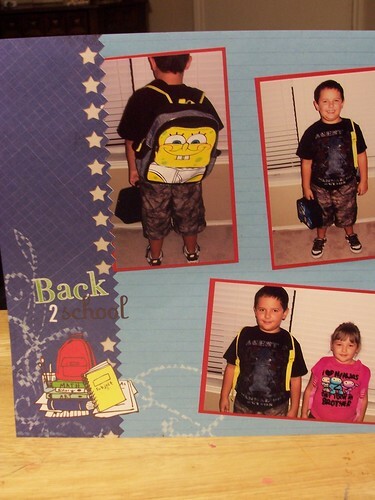 So today I have the First Day of School Pictures from 2010. I still need to do some journaling but I haven't decided what yet. These layouts are pretty simple. The paper was fairly busy. Sometimes I like to just let the layout be about the pictures and the paper. I don't think every layout has to be uber embellished and something I spent hours making. I have a thing for designer photo frames. Before I stepped up my crafting I spent a lot of money on those embellished frames. Now I just don't see the need. It's easy to create a personalized frame. I made a frame for my friend who just had her little girl. She adores vintage things but is not a big pink fan. Of course you can't do a baby frame without some pink but I tried to focus more on other colors. I didn't have pearls in a shade I liked so I pulled out a prisma marker and just shaded the pearls so they had an aged look. It also helped them stand out more. 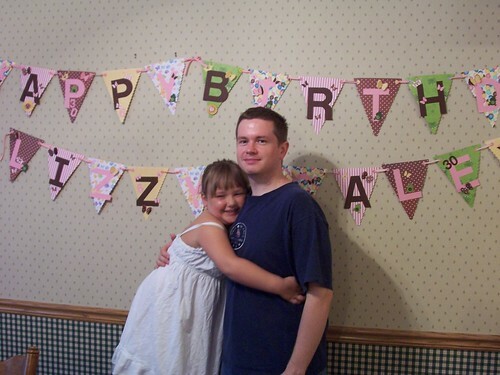 Lizzy turned 6 this year and my brother turned 30. There birthdays are only three days apart. 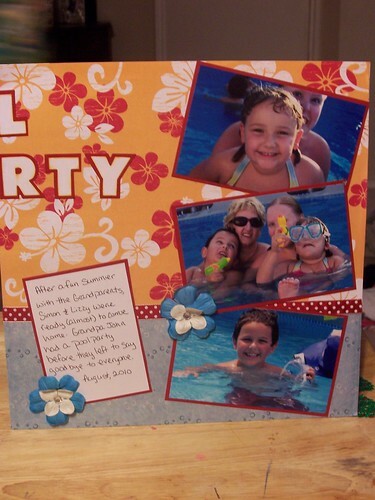 We had a small family party here at home and had a bigger extended-family party when we arrived in Missouri. The theme was Princess and the Frog. I wanted to make something extra special for the party. 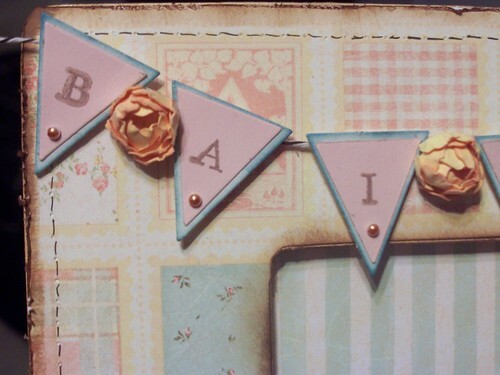 I finally settled on making a banner with the accucut die Felicia's Scrapbooks had just added to the classroom. Of course it up being much bigger than I planned. It took 2 rows on the wall and I had to stand on the otherside of the room to get it all in a picture. I didn't have Princess and the Frog papers so I mixed in some various princess papers, frog papers and birthday papers. 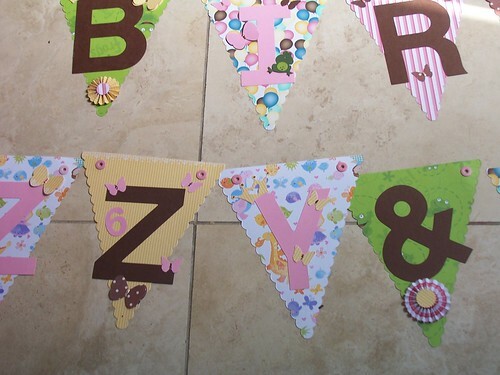 I decorated the banner with 6's, 30's, crowns, butterflys, rosettes and of course frogs. I love all the fun details on the banner. 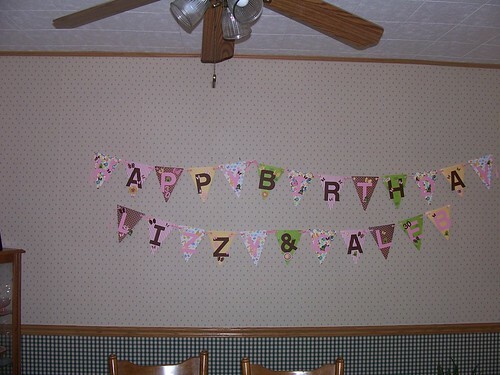 I think we're going to put up the name part in Lizzy's room for her. She doesn't have enough wall space to fit the rest.